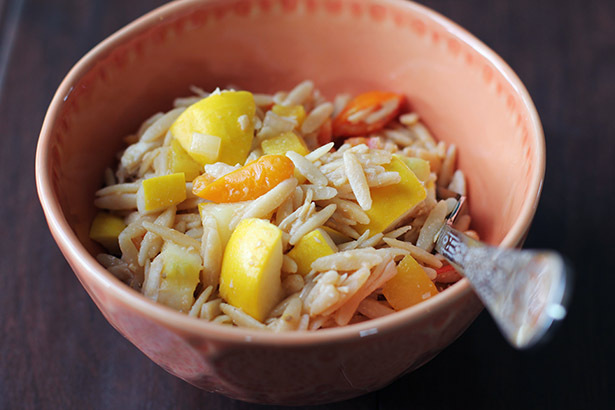 This is one of those recipes that’s not really a recipe – no measurements necessary and feel free to add or omit ingredients at will. I pretty much stole the idea for this salad from a restaurant called Croutons. Enjoy! 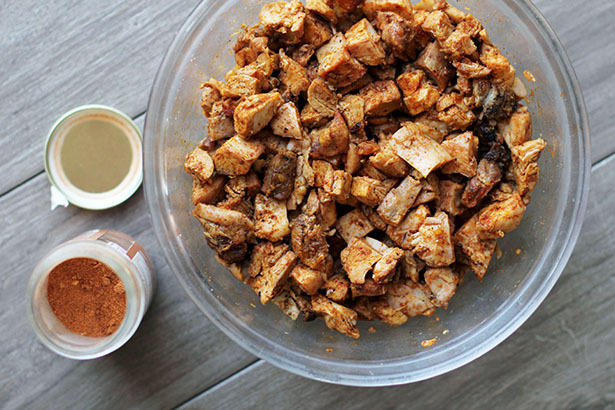 Shred grilled chicken and toss in barbecue sauce to coat. 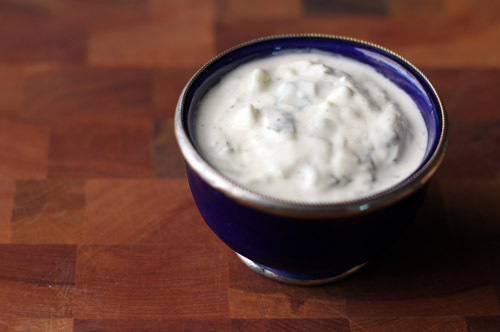 Toss everything together and serve with ranch dressing. Voila! 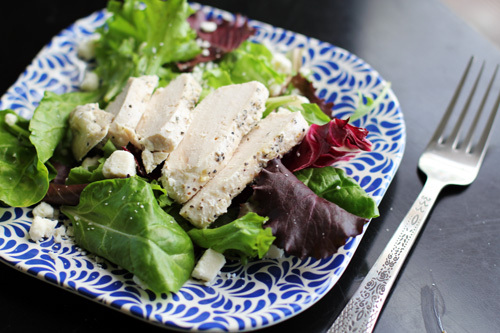 No set amount for ingredients - plan for about ½ chicken breast per person and adjust ingredients as necessary for the size of the salad! Hi friends. Today’s recipe isn’t really a recipe at all. I would say it’s more of a kitchen tip and one that I am loving. 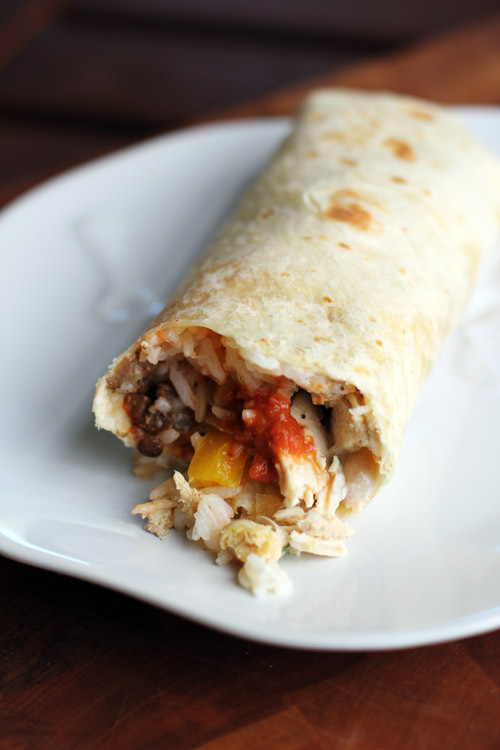 Today I’m going to tell you how to make super easy chicken for tacos that tastes so good. And when I say easy, I mean easy. My cousin Jamie gave me this idea and I will be forever grateful to her. We were cooking up tacos one night and had chopped up a bunch of grilled chicken thighs. Jamie grabbed some leftover taco seasoning and tossed it in the bowl. GENIUS. 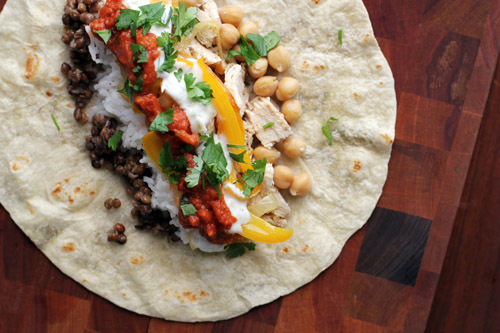 The chicken turned out awesome and now I make it this for tacos all the time. 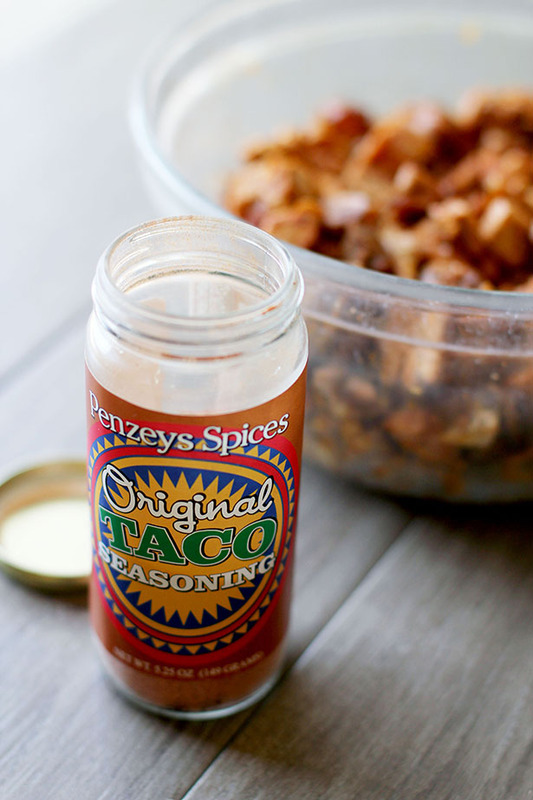 You can use any taco seasoning, but my favorite is from Penzeys. Not only does this seasoning taste great, but it comes in a jar, so you can use as much or as little as you want. It’s so much better than a packet. Also, I always grill my chicken and while this is super tasty with chicken breasts, chicken thighs are definitely my favorite. Just grill up the meat, cut into bitesized pieces, then toss with taco seasoning. 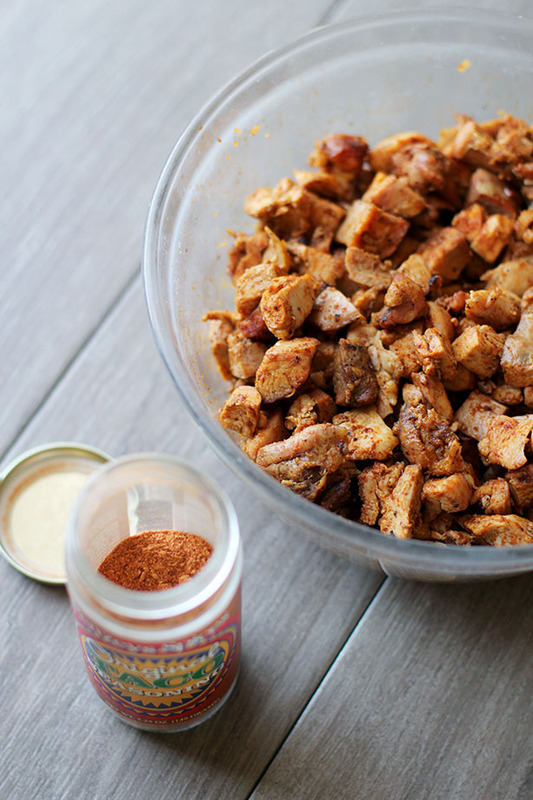 This seasoned chicken is also great on salad or in a wrap. Basically it’s the best. You’re welcome. When I linked to Pat’s Asian Chicken Salad recipe on my menu earlier this week, I was surprised to discover that I had never actually written a post about it before. I decided it was about time! 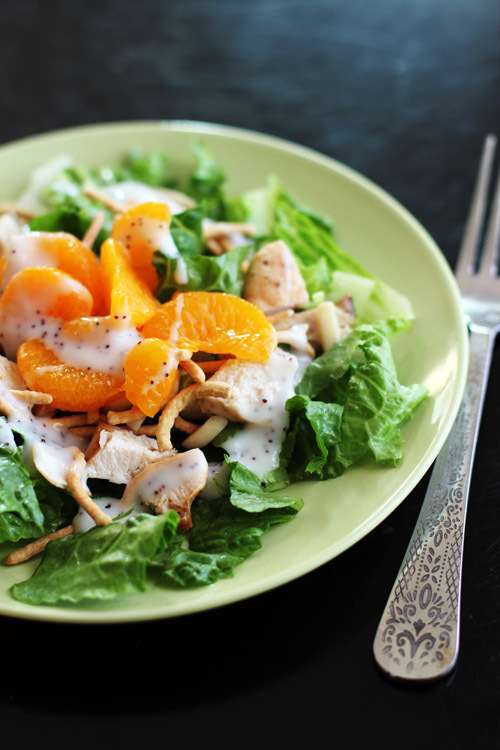 I love this salad. 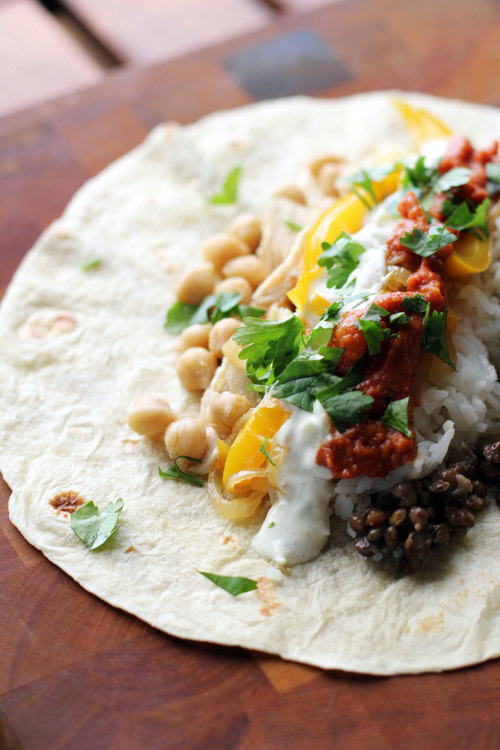 It is one of my favorite go-to dinners and it’s super tasty. As with many of my great go-to dinner ideas, this one comes from my mother-in-law Pat. I don’t know what I would do with her! 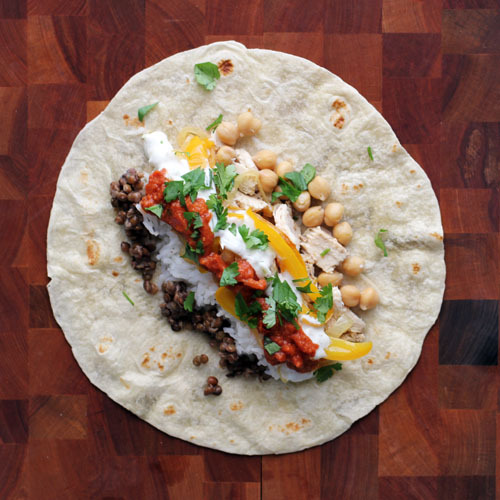 So, seriously, this is a great go-to dinner. Just last night I was convinced I didn’t have time to make dinner but was able to pull this together faster than if we’d done take out. And everyone in the family loves it! I think it’s time for another Crazy Easy Chicken Recipe! Today’s “recipe” is one of the first things I ever cooked. Even though this non-recipe recipe is beyond easy and simple, it’s incredibly tasty and versatile. In fact, I don’t know why I don’t cook chicken like this more often. Italian dressing is kind of magical. 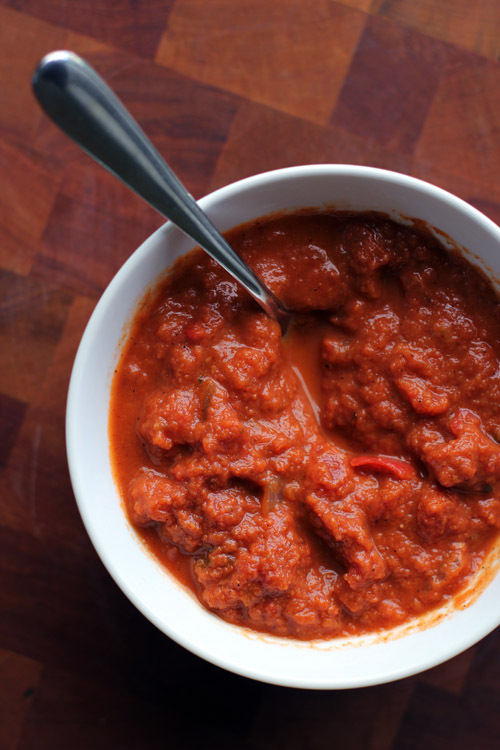 It’s one of those ingredients that can quickly add flavor to all kinds of recipes. My favorite uses are in potato salad and for marinating chicken, which brings us to today’s recipe! All you need is chicken and Italian dressing. That’s it. You’re done. Be sure to stab your chicken as directed. That is the key to making your chicken extra tender and filled with that Italian dressing flavor. 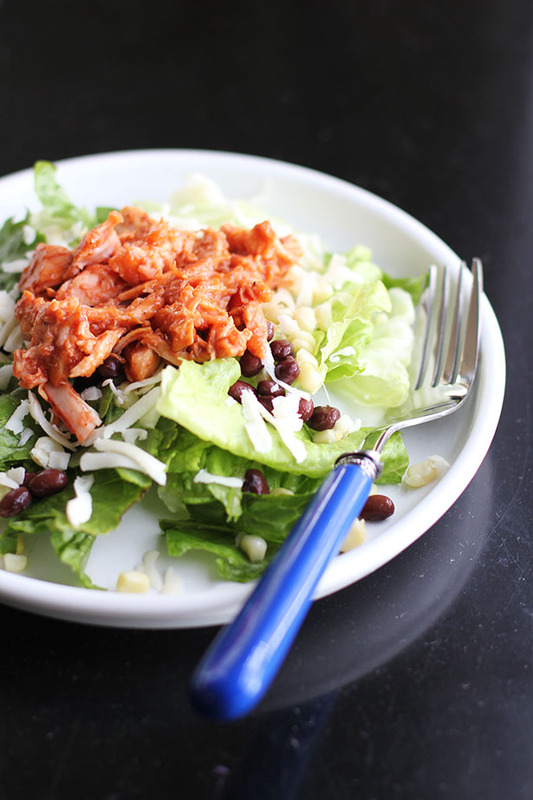 This chicken is great topped on salad and served on a sandwich! Stab the chicken breasts on both sides a TON with a fork. Put chicken in a small bowl and cover with Italian dressing, flipping chicken to cover completely. You can cook immediately but letting it marinate for about 30 minutes in the fridge is even better! 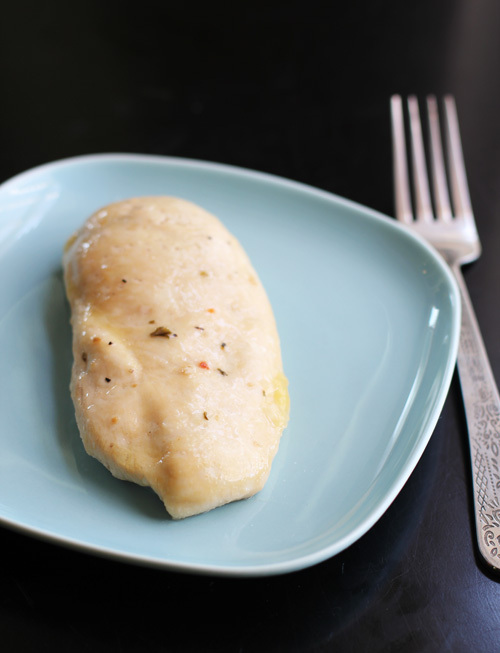 Place chicken in a baking dish, pouring any remaining dressing in the bowl over the top. Bake for about 30 minutes, until inside of chicken is no longer pink and the internal temperature reaches 160º F. Don't overcook to keep it moist and tender. 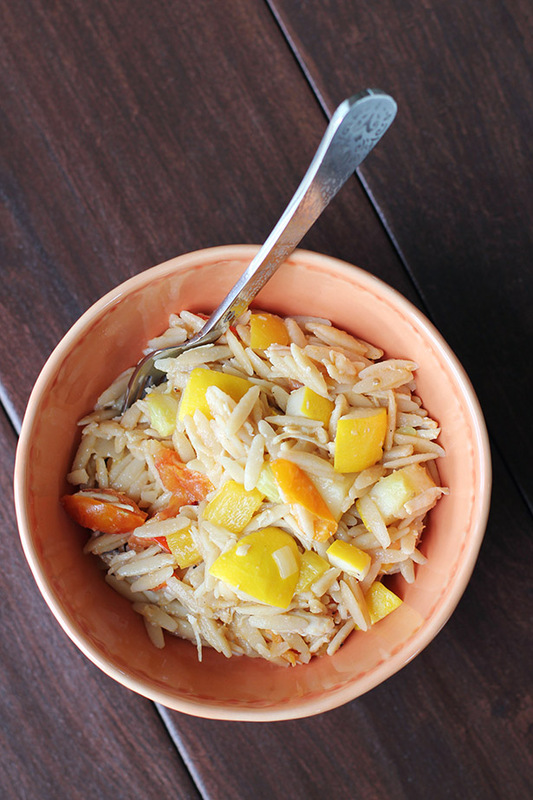 I didn't provide measurements because this is a CRAZY EASY recipe and you don't need them! Just eyeball it, you can't mess it up! Chicken Kai Pa Lo: A Restaurant-Worthy Recipe If I’ve Ever Made One! I love Penzeys Spices. In fact, one of the things I miss most about living in Menlo Park is having a Penzeys store just down the street. Since the nearest store is now about 45 minutes away, I really appreciate getting the catalog that much more. And, unlike the store, the catalog is filled with all kinds of great recipes. Nate got his hands on the latest catalog and requested that I make three of the recipes in it, so we’ve been doing one Penzeys recipe a week. 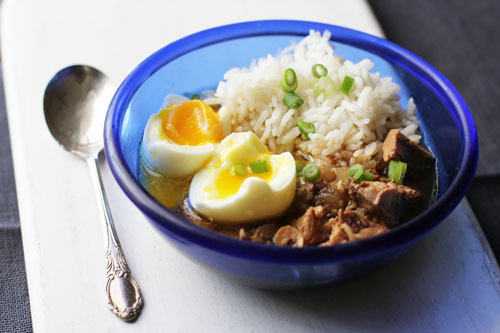 I started with a recipe for Chicken Kai Pa Lo, a Thai soup served with rice and soft-boiled eggs. Kai pa lo is traditionally made with pork, but this particular recipe called for dark meat chicken. This dinner was GOOD. Nate and I loved it and the kids all liked it, too. In fact, 7-year-old Anna was especially enamored with this dish and practically licked the bowl clean. Nate and I both agreed that this kai pa lo tasted as good as anything we’ve eaten at a Thai restaurant. I am so glad Nate got me to try this recipe. Penzeys once again for the win! For the eggs, I highly recommend you follow my friend Irvin’s technique for making soft-boiled eggs. Our soft-boiled eggs came out perfectly. The soup itself has a wonderful Asian flavor that is very comforting, and the recipe is surprisingly simple to make. You won’t have to slave in the kitchen to make an impressive meal! 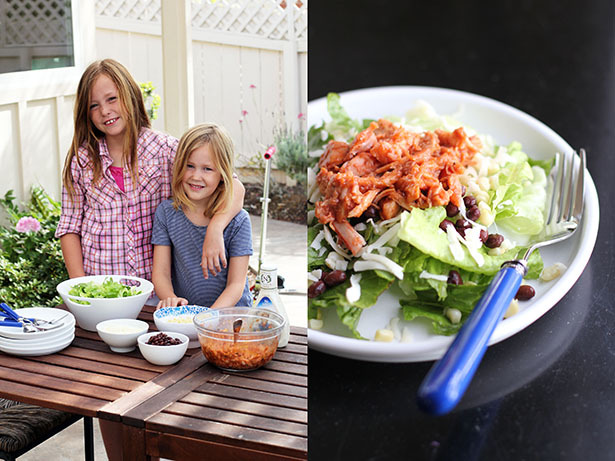 This recipe originally came from a Penzeys Catalog and was submitted by one of their customers Jennifer Sombutmai. 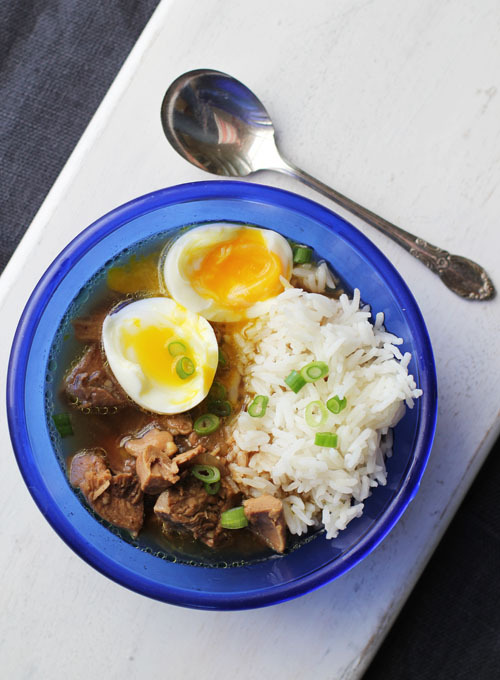 I have modified the recipe by adjusting measurements and making them more specific, and I changed the meat used to speed the cooking process. Heat oil in a large sauce pan or dutch oven over medium heat. Add the onions and cook until translucent, about 5 minutes. While the onions are cooking, mix together the soy sauce, garlic powder and white pepper. Rub this mixture on both sides of the chicken pieces. Once the onions are translucent, add fresh garlic to the pan and cook until fragrant, about 2 minutes. Push the onions to the side of the pot a bit and add the chicken pieces to the center of the pot. Brown chicken on both sides, about 4 minutes a side. Add the soup base to the pot then pour in the water. Bring to a boil then reduce the heat to a simmer. Let cook uncovered until chicken is cooked through, about 10 minutes. I use a thermometer to check for doneness - chicken is ready at 160º F.
Remove chicken from the pot and shred/cut into bite-sized pieces. Add the five spice and brown sugar to the pot, stir well, then return chicken to the pot. Simmer 5-10 more minutes. 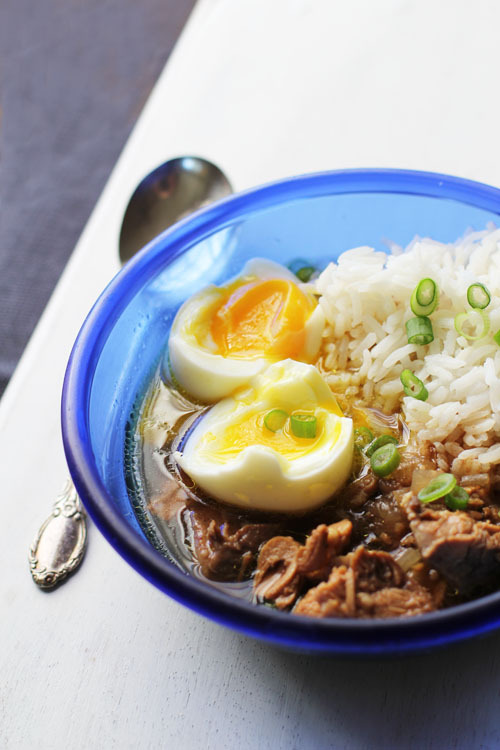 Serve soup in a bowl with jasmine rice and a soft-boiled egg. Top with green onions if using. I recently discovered a quick “recipe” for lemon pepper chicken that I simply have to share with you. 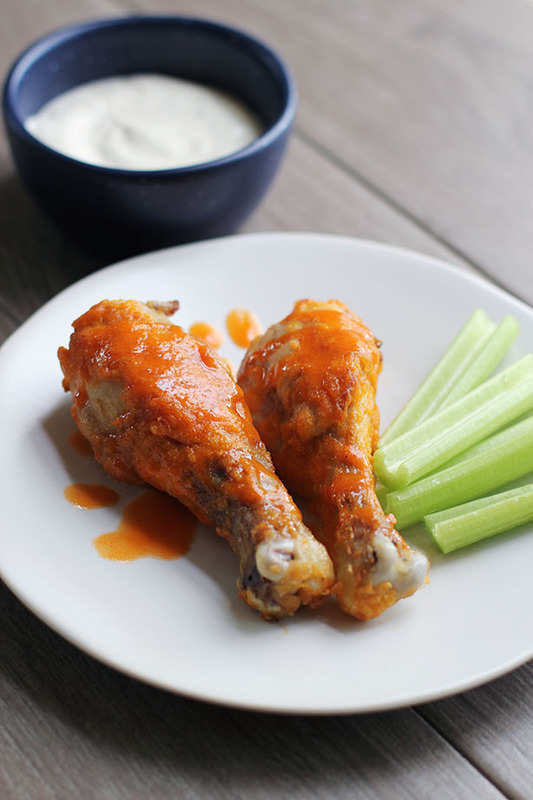 The chicken is tender and flavorful and it’s just so easy to make! This chicken is delicious fresh out of the oven served with rice and a veggie, but I also love it served cold over salad. It would be great in sandwiches, too! I sort of accidentally created this recipe. I thought I was making a recipe for luscious lemon chicken that I received from a friend 15 years ago. I was going from memory and the final result was what you see here in this post. Only, when I looked the original recipe up later, I discovered I left a bunch of ingredients and steps out! So, now I have two awesome lemon chicken recipes. 😉 And, yes, one day I’ll share the luscious lemon chicken recipe with you, too! Today’s version of the recipe really is SO easy and delicious. My little Anna especially loves it! Be sure you use the stabbing-the-chicken-with-a-fork trick – that is the key to this tender, flavorful chicken! Super easy with delicious results, this chicken has a nice peppery flavor with a hint of lemon. 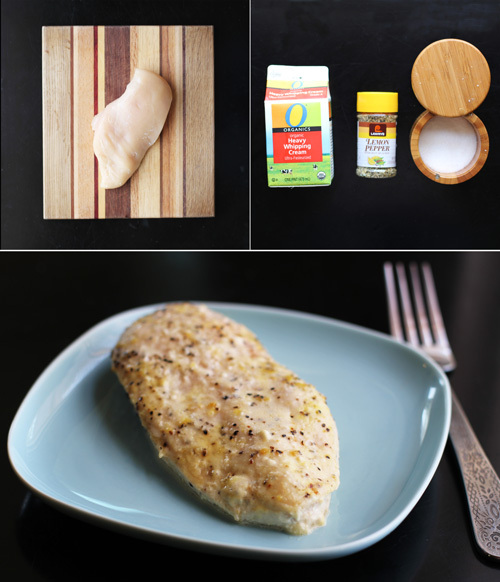 Stab chicken breast(s) all over on both sides with a fork (click here for details on this trick). Sprinkle both sides evenly with salt, then sprinkle liberally with lemon pepper on both sides. Place chicken in a baking dish then pour cream over the chicken to coat. 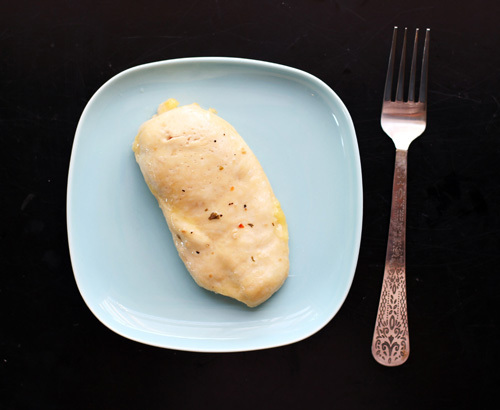 Flip chicken breasts in the dish with a fork to coat both sides of the chicken with cream. 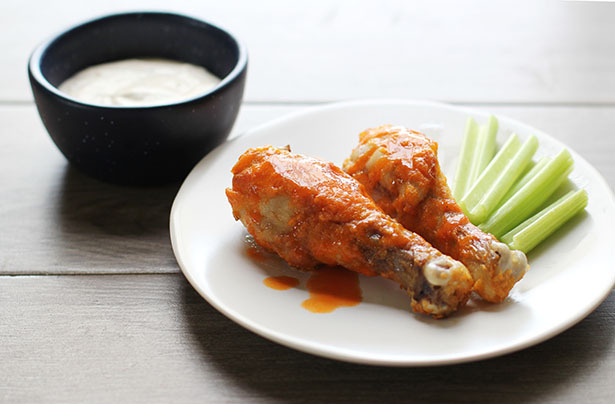 Bake for about 20-30 minutes, until chicken juices run clear and/or internal temperature of chicken reaches 160ºF. 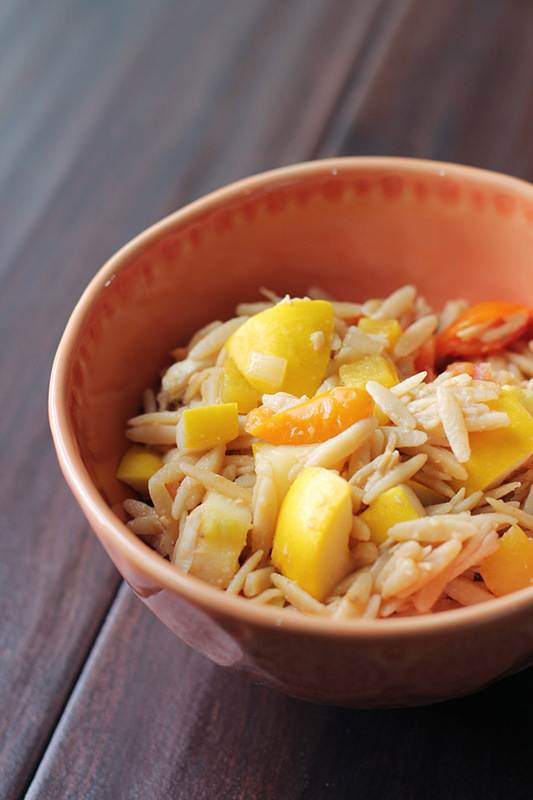 Serve hot out of the oven with rice and veggies. 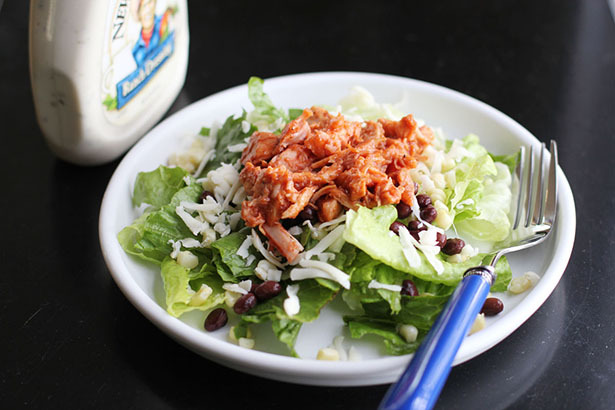 Refrigerate leftovers and serve cold on salad or in sandwiches. 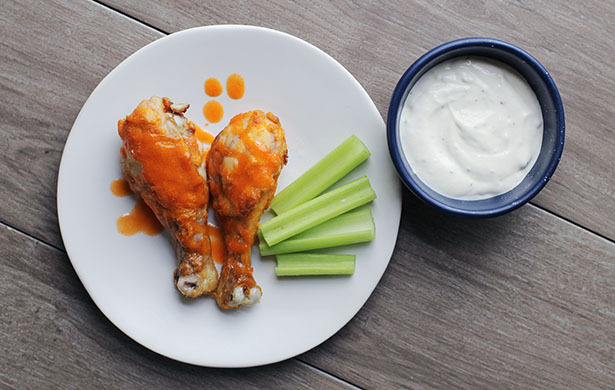 Fast and Easy Trick for Tender Chicken: Stick a Fork In It! One of the first things I learned in the kitchen in my early 20s was that it is really easy to cook tough, hard-to-chew chicken. The first time I baked a chicken recipe I was so disappointed with the outcome. The chicken was not tender and delicious at all and I hated that. I quickly mastered the art of pounding chicken, which always yielded tender, evenly-cooked chicken. I’ve used that technique for years and still love it. BUT…my mother-in-law Pat shared another trick with me that is equally as magical and beyond easy. She got the tip from a kid in town who worked in a restaurant and it’s great! 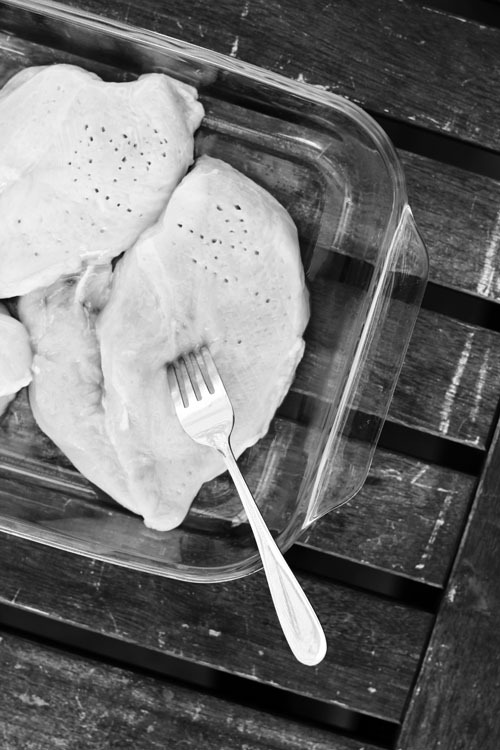 Just stab the you-know-what out of your uncooked chicken breasts with a fork on both sides. Like, lots and lots of stabbing. Like, you-really-need-to-vent-some-frustration-so-you-take-it-out-on-the-innocent-chicken lots of stabbing. You end up with tender chicken and a little mental therapy to boot! I like this method because it’s less messy. When you use a mallet, you need to get a cutting board dirty, there’s the yucky plastic wrap to contend with and, of course, the mallet also needs to be cleaned. With this method you just need a fork and you can stab the chicken right in the dish it will cook in. Easy peasy! This technique is also good for marinade…lots of little holes to soak it all up!